Got a question about buying tickets online on the Gatwick Express website? Find the answers here. You can book online and travel using an electronic ticket rather than a paper ticket – so there’s no need to queue when you get to the station. 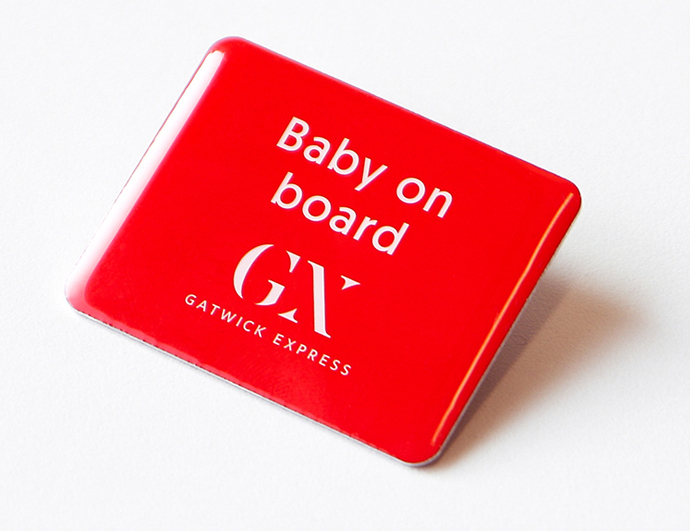 eTickets are designed for use on Gatwick Express services which arrive at stations or platforms with barcode readers. Intermediate stations between London Victoria and Gatwick Airport are not equipped with barcode readers. Once your booking has been completed your ticket will be sent to you via email as a PDF. If you’ve registered an account with us you can also login and access your eTickets at any time or download them to your IOS or Android wallet on your device. When travelling simply use a mobile device to present your ticket for inspection or to pass through a gateline. Alternatively, you can print your ticket using plain white A4 paper. When will I receive my eTicket? You should receive your eTicket within 24 hours of booking. This comes as a separate email from the confirmation email and you'll need to download the PDF ticket to travel. If you’ve registered an account with us you can also login and access your eTickets at any time or download them to your IOS or Android wallet on your device. What if my eTicket hasn't arrived after 24 hours? We suggest you check your spam/junk folder first. You can add no-reply@gatwickexpress.co.uk as an email contact to stop this happening. If you purchased your tickets as a guest please get in touch with us so we can help. Refunds can be claimed straight after the ticket purchase and up to 28 days of the ticket's expiry date. The expiry date depends on the terms and conditions of the ticket you have purchased. Please note: tickets that fall outside our Money Back Guarantee will usually incur a £10 fee. If my plans change can I get a refund? If you bought your ticket from one of our ticket offices, simply return it to the ticket office to ask for a refund. If you’ve collected your tickets and can’t get to one of our ticket offices please fill in a refund form. Post this to the Freepost address and attach a copy of your tickets – please be aware that this may take longer to process than if you visited a ticket office. Yes. When you book you will be asked for your billing address (this is the address to which your card is registered and your statements are delivered). You must complete this field. You can then choose to have your tickets delivered to another address. Can I print receipts using the new way to buy tickets? Can I purchase a Child flat fare online? Child £2 flat fare tickets can be bought online at when purchasing an adult fare with a valid Off-Peak ticket. Child flat fares are not valid for journeys wholly within London Zones 1-6. Child flat fares are not currently available with Off-Peak Travelcards and Advance purchase tickets. Can I use a UK credit card that's registered to a non UK address to buy tickets online? UK credit/debit cards registered to non UK addresses and Non UK cards with UK addresses will now be accepted if they are enrolled in 3Dsecure. Can someone else collect my tickets from the station? Yes, as long as they have access to a payment card and the booking reference shown on your email confirmation. The tickets cannot be issued without these. Can tickets purchased through this website be sent to an overseas address? Our website allows customers outside the UK to register with us and purchase tickets, but we are unable to deliver overseas. You will be given the option to collect them from the station. We may collect and process anonymous information about your visit to our website, such as some of the pages you visit and some of the searches you perform. Such anonymous information is used by us to help improve the content of the site and to compile, for internal market-research purposes, aggregate statistics about individuals using it. In doing this, we may install cookies that collect the first-level domain name of the user (eg.,“bigmail.com” from an e-mail address john@bigmail.com) and the date and time of access. If you are subscribed for marketing emails, you can click the unsubscribe link at the bottom of the email to unsubscribe. To change your ticket currently, you will have to apply for a refund and purchase another ticket. Please get in touch and we can resend this to any email address you would like this to be sent to. I want to book for a group. Who do I contact and are there any discounts? If you're a group of three to nine adults, travelling together Off-Peak, you often benefit from discounts when travelling together on certain routes using GroupSave. For larger groups of 20 or more discounts are available. To make a Group Travel booking or enquiry, please get in touch. Is it possible to purchase a ticket for someone else? Train tickets can be used by anyone even though certain tickets will have the name of the traveller or person who booked the tickets printed on them. When you are making a booking you can request that the tickets are sent to a different address. If you do purchase tickets for someone else please note that enclosed with the tickets will be the sales receipt. This shows the last four digits of the credit card as well as the purchase price. What if I select the wrong station to collect my tickets? How do I collect my tickets? You can collect your tickets from any National Rail station which has a ticket machine. If for some reason you cannot retrieve your tickets from the machine, you can collect them from the ticket office. You must remember to take with you your booking reference number and any credit/debit card in order to collect tickets. *Remote areas and Islands of Scotland will take longer to reach. Orders placed on Saturday or Sunday are despatched on Monday and delivered on Tuesday. Orders placed on a Bank Holiday are despatched on Tuesday and delivered on Wednesday. An eVoucher is provided where compensation has been claimed for a delay or cancellation to a service that affected your journey. This is part of the Delay Repay compensation process. An eVoucher will be added to your online account which in turn can be used for products that are available from this website. To use your eVoucher, you will see your voucher total in the delivery options screen once you have selected your product(s) and you will have the option to use some or all of your voucher as payment in full or towards that product. Please note that eVouchers cannot be exchanged and are valid for 12 months from the day of issue. If you have chosen to have your tickets delivered, tickets purchased by 16.00 will be processed and dispatched within 24 hours of booking using Royal Mail First Class post. Please note we are unable to guarantee delivery for first class and shall not be obliged to change, cancel, replace or refund a ticket once it has been posted. Any customers whose tickets fail to arrive after 5 working days should contact Customer Services. If you have chosen to collect your tickets at the station, please enter your payment card and booking reference from your confirmation email into a ticket vending machine to collect your tickets. Order your tickets by 16:00 and we will guarantee delivery the next working day* £6.00 (inclusive of VAT) guarantees delivery before 13.00 and provides insurance up to £500.00. Which debit / credit cards can be used to purchase tickets on this website?